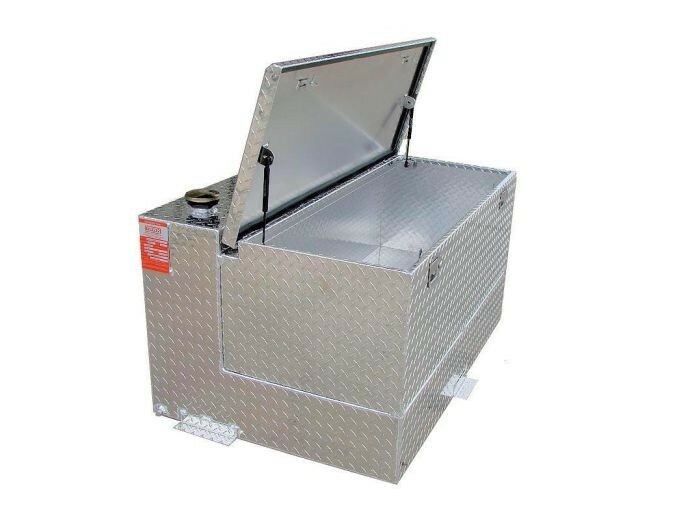 The ATI TTL50CB 50 Gallon DOT Certified Refueling Tank and Toolbox Combo is great, secure solutions for tool and equipment storage as well as on the go fueling. Designed and tested for diesel and gasoline. Can also be used in state and commercial applications. The ATI TTL65CB 65 Gallon DOT Certified Refueling Tank and Toolbox Combo is great, secure solutions for tool and equipment storage as well as on the go fueling. Designed and tested for diesel and gasoline. Can also be used in state and commercial applications. The ATI TTL95CB 95 Gallon DOT Certified Refueling Tank and Toolbox Combo is great, secure solutions for tool and equipment storage as well as on the go fueling. Designed and tested for diesel and gasoline. Can also be used in state and commercial applications. ATI AUX30CB is great, secure solutions for tool and equipment storage as well as having the extra diesel fuel capacity for your long trips! Auxiliary installation kit included. AUX30CB is 18" high including toolbox. ATI Auxiliary Tank and Toolbox combos are great, secure solutions for tool and equipment storage as well as having the extra diesel fuel capacity for your long trips! Auxiliary installation kit included. AUX65CB is 54” across the bottom - Sides of tank taper in at bottom. 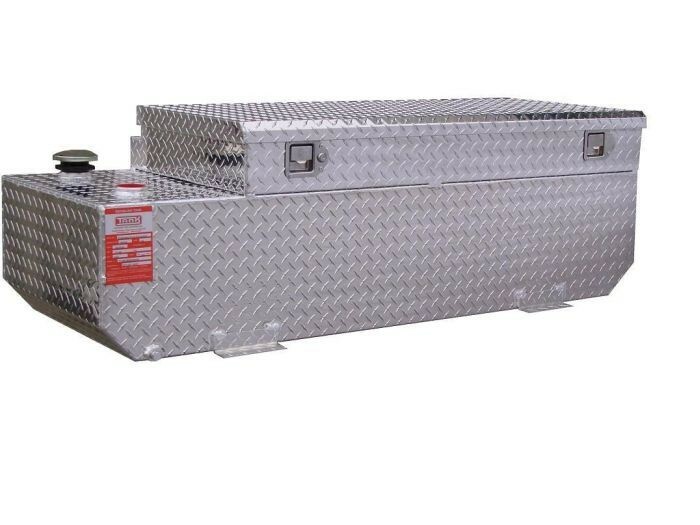 AUX65FCBR is 65 gallon 'Fuel Safe' tank/toolbox combo. Comes with auxiliary installation kit. 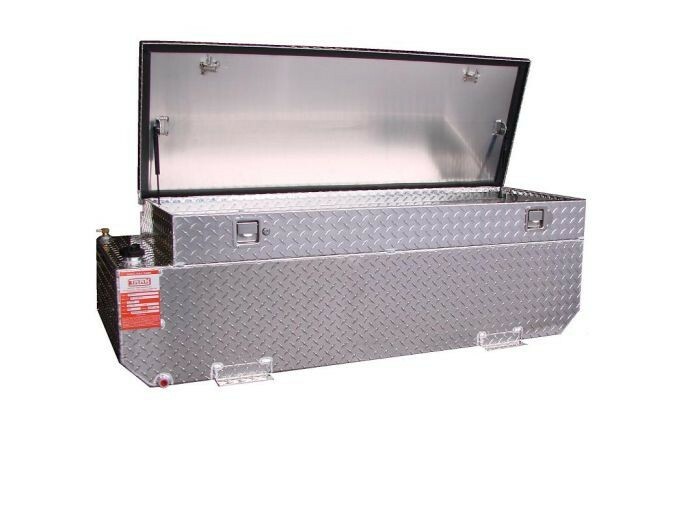 The feature of this tank/toolbox combo gives you security for your fuel. 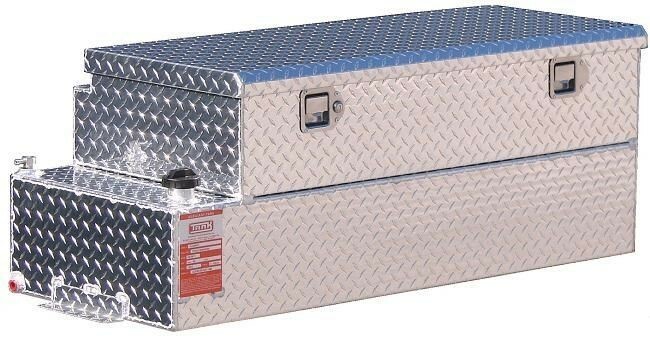 AUX58FCBR is 58 gallon 'Fuel Safe' tank/toolbox combo. Comes with auxiliary installation kit. The feature of this tank/toolbox combo gives you security for your fuel.